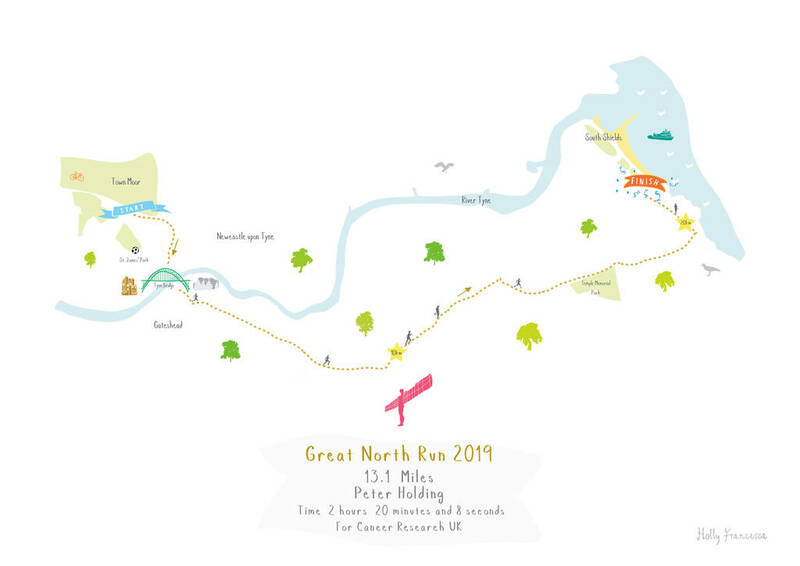 Illustrated art print map showing the 13.1 miles of the Great North Run Half Marathon, available to personalise. This print shows the iconic landmarks that each runner will pass along the course. 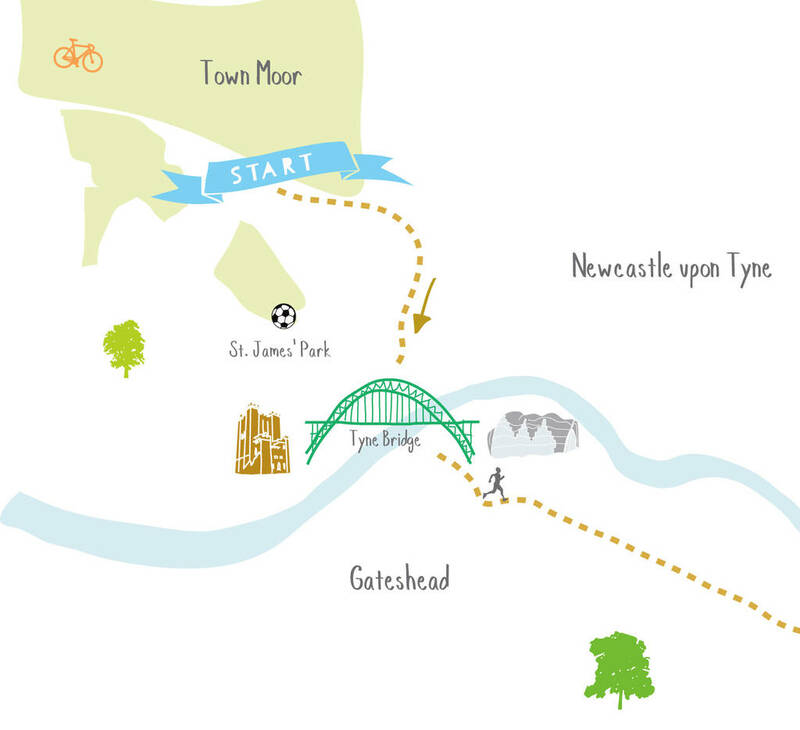 The Great North Run is the biggest half marathon in the UK and the World! Artwork is created from an original drawing by Holly Francesca. 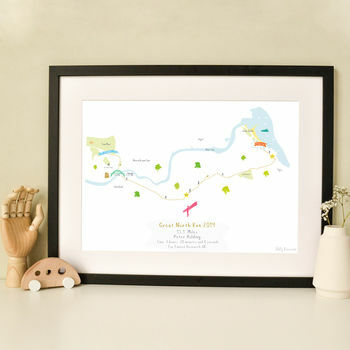 The design is available to purchase as a personalised print for somebody who has completed the half marathon. At the bottom you can add the year (or years!) it was completed in, your name, your race time, the charity that you ran for and perhaps even how much you raised. Or any other text you would like, all for free. Please note that the artwork can also be printed without any personalised text. Both Unframed prints and Framed prints are sent flat packaged in a sturdy cardboard box. Please ensure that you check the spelling of your personalised text as this cannot be changed or refunded after printing. If a proof is selected, we will contact you with a PDF for approval prior to printing.